The first time Larry Bell played in public was at the sophomore class sock hop at Spearfish High School in 1959. Along with cousin and lead guitarist Don Ainsworth and Doug Erickson on bass, the guys won the Snow Queen Talent Contest. This was the beginning for Larry Bell and the Star Guitars as they played for dances in the Spearfish area. In 1961 Don left for the service and was replaced by Jim Anschutz. Jack Robinson was also added on the drums. They went by several names, most notable the Larry Bell Quartet, Larry Bell and the Three Dimensions, and the Majestics. The group performed from Vivian, SD to Thermopolis, WY and Crawford, NE to North Dakota. A favorite venue was the Spearfish Pavilion. After graduating from high school in 1961 Larry went to Lake Tahoe to work and Gary (Miller) Mule Deer took over the band. 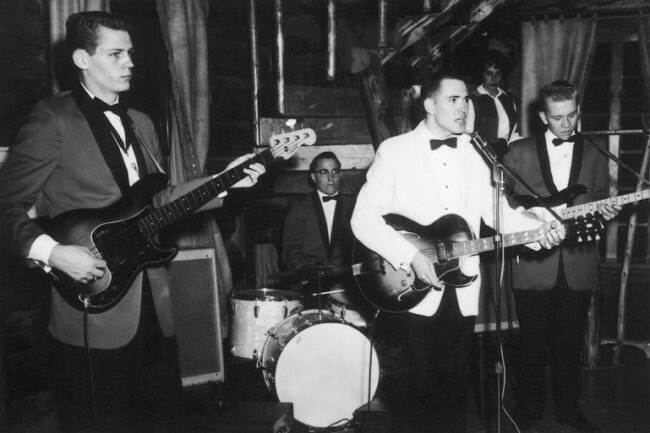 Returning a year later, Larry Bell and the Continentals found an unexpected period of success. DJ Johnnie Rowe of KIMM radio in Rapid City lined the band up with a job in Denver, where he had previously been on the air. They worked six nights a week for fifty four straight weeks and became one of the most popular bands in the "mile High" city. They also recorded at the famous Norman Petty Studio in Clovis, NM as well as Gary Paxton's Nashville West in Hollywood. A single, "Faithful to You", received airplay and favorable reviews on KOMA. Larry spent his junior year of college working for Ray Ruff of Checkmate Productions in Amarillo, TX where he continued to record and work as an advance man. Larry Bell just missed hitting the big time but is one of South Dakota's most talented musicians.